From a gorgeous and sweet Little Prince inspired real wedding over on Ruffled, we have this super cute, fairytale wedding cake! 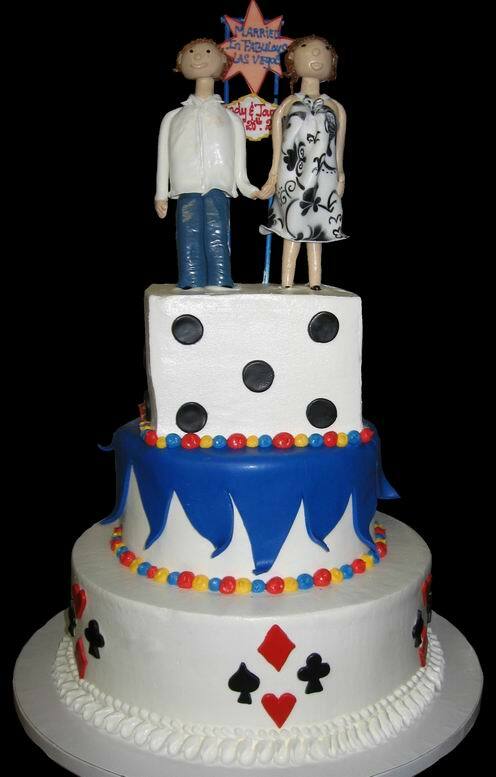 This awesome cake was made by Janet from Icing on the Cake. The designs on this cake hark back to another time -- when sandals were strappy, music was for dancing, and jewelry took a leap into the future. But you don't need to know your Art Deco from your Art Nouveau to admire its geometric style. 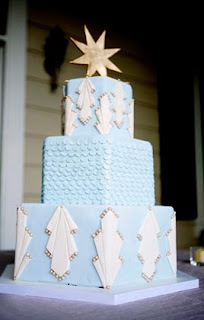 Covered in buttercream, piped dots of frosting, and cut-fondant plaques coated with sanding sugar, it's just plain pretty, no matter how you slice it. 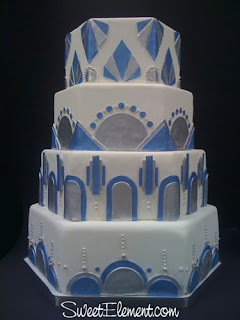 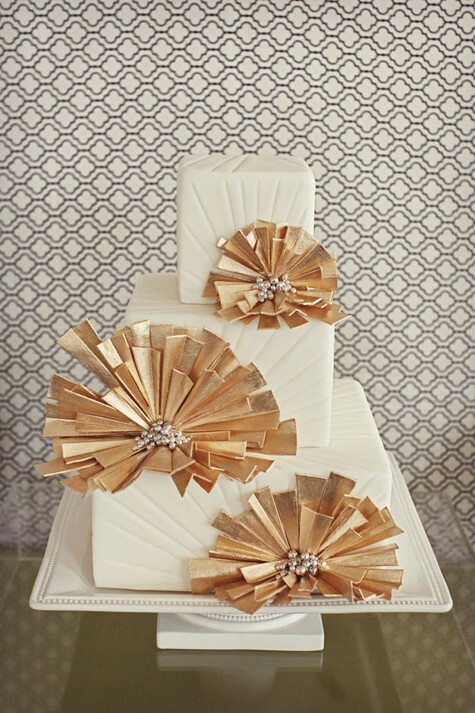 An amazing white and gold Art Deco cake by Bliss Wedding and Event Design. A white, blue and silver, hexagon shaped Art Deco wedding cake designed by Sweet Element. 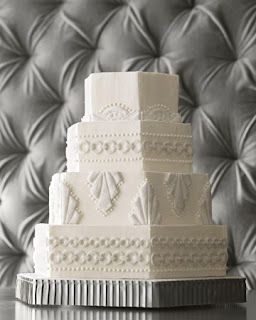 A art deco inspired off center cake. 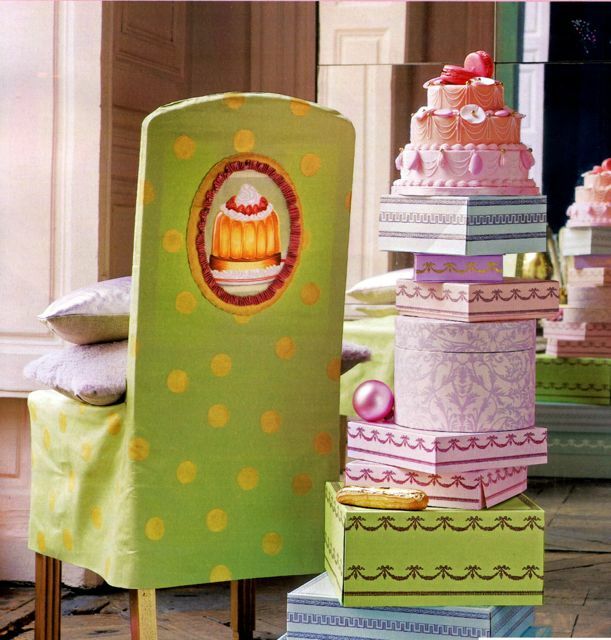 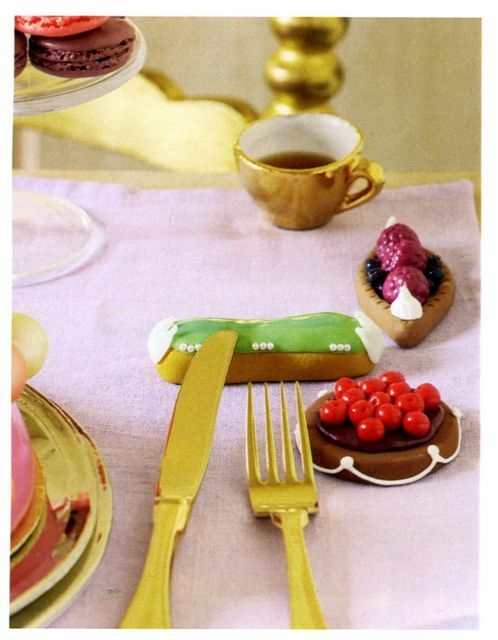 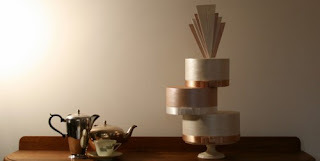 The cakes were finished in two tones of satin lustre. 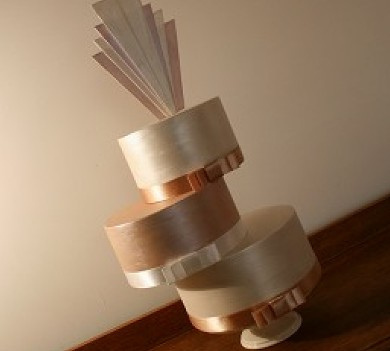 Art deco sugar fan as the topper. A beautiful light blue wedding cake from a vintage Art Deco inspired real wedding from 100 Layer Cake. 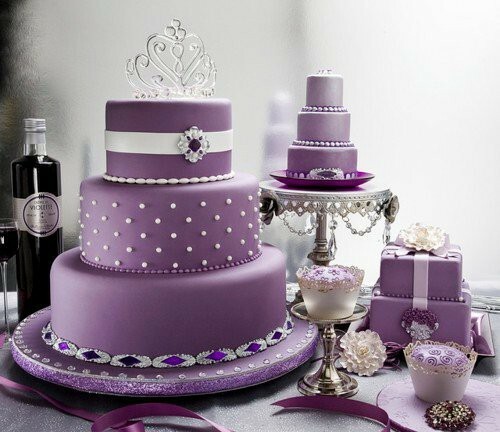 Stunning, elegant and in trend purple wedding cakes using Albert Uster amethyst fondant. 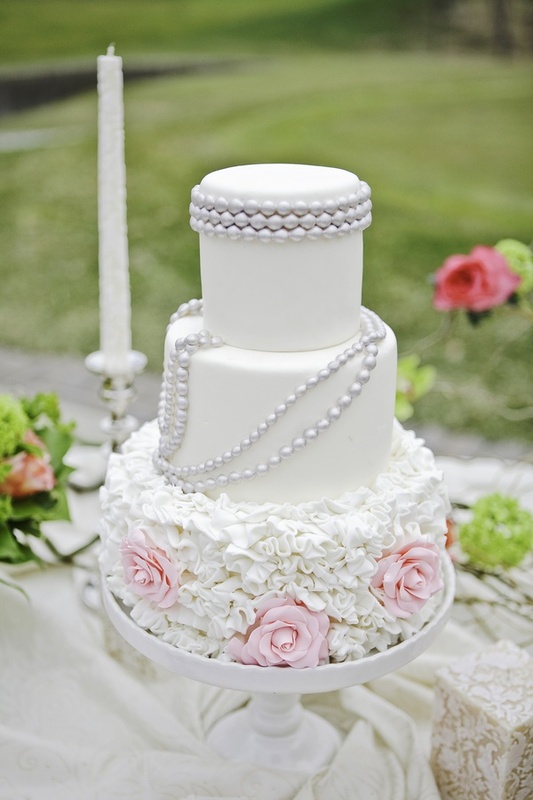 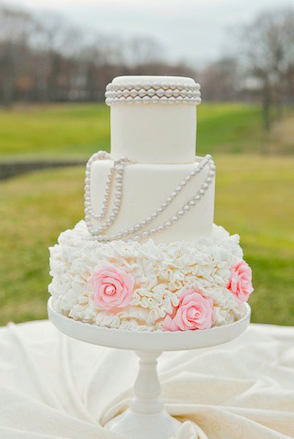 A wedding cake so sweet featuring ruffles, pearls and roses created by Sweet Grace Cake Design. 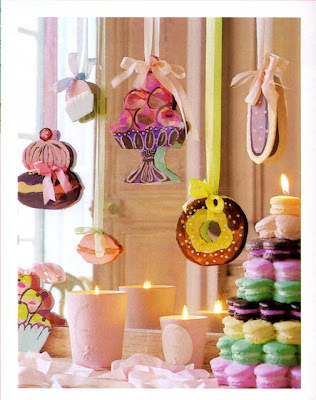 Featured in The Knotty Bride. Very cool and off the wall wedding cake covered in chocolate and sprayed with neon colors! 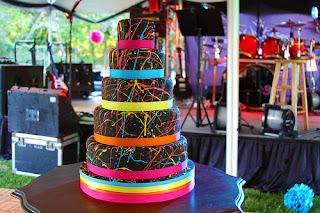 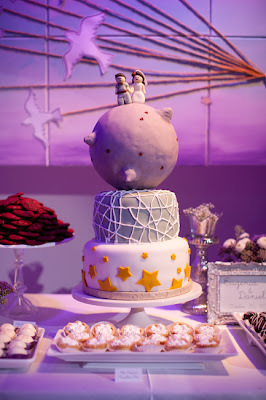 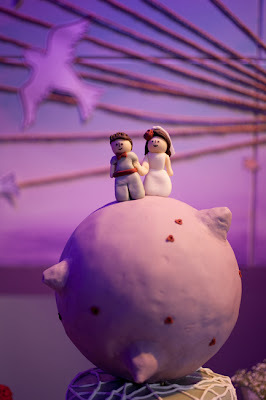 Our delicious wedding cake by Amy Cakes in Norman, in front of the setup for our awesome band, LC Rocks of Austin. 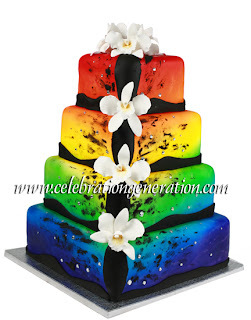 ..and on a not to disimilar tangent we have this amazing colorful Pride wedding cake from Celebration Generation Cakes. 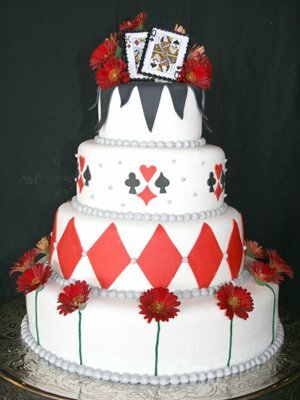 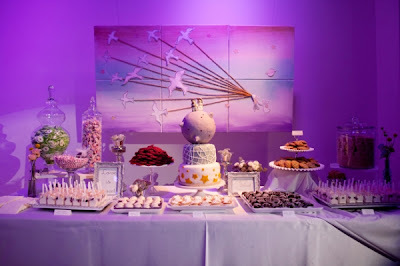 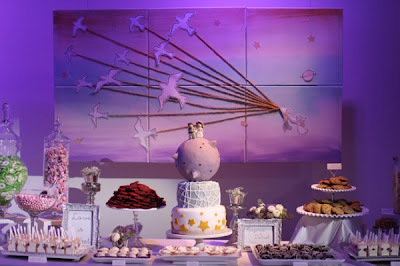 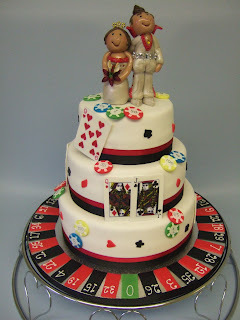 Exciting, fun and unique Las Vegas wedding cake theme. 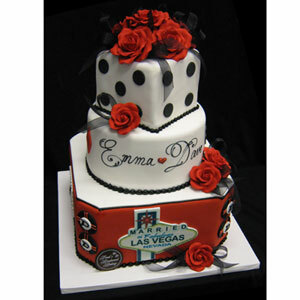 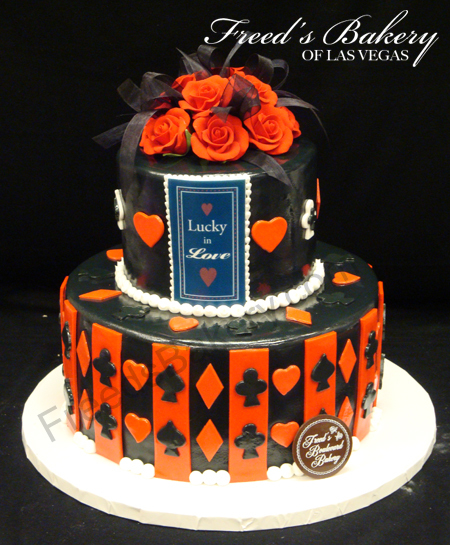 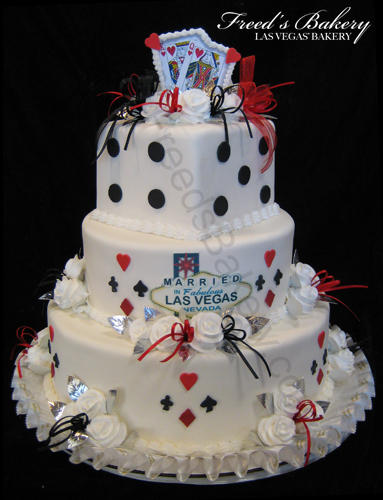 First we have From Fred's Bakery of Las Vegas a few charming Vegas themed wedding cakes. 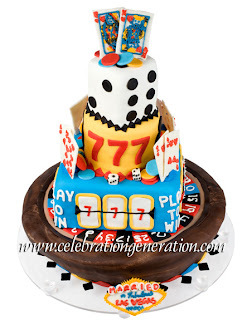 The next awesome Las Vegas cake comes from Celebration Generation Cakes. From ABC Cake Shop and Bakery. 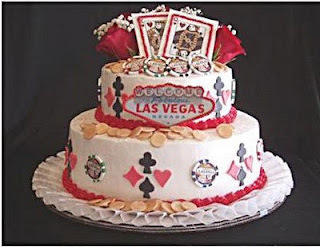 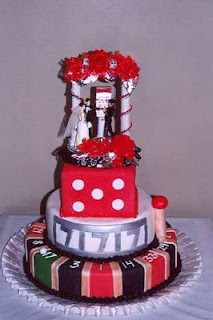 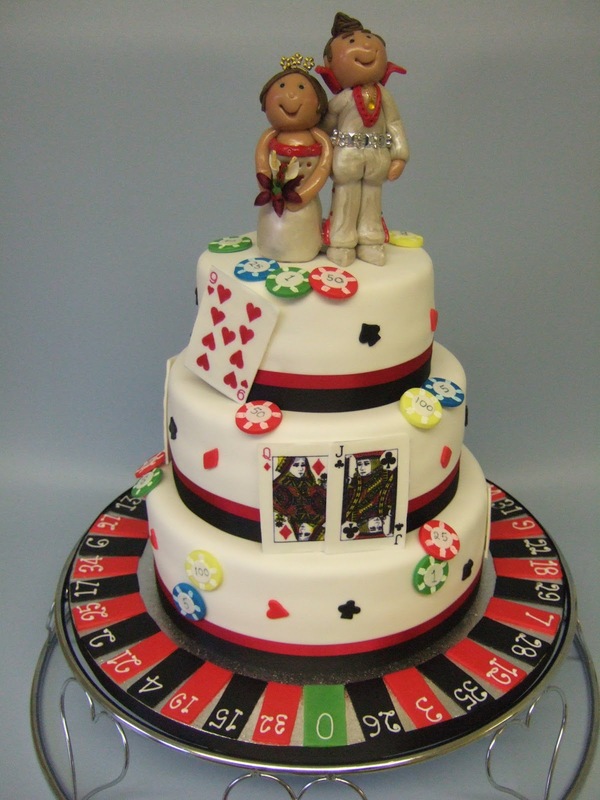 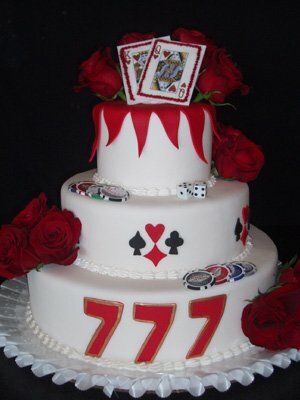 A Vegas wedding cake with roulette, chips and cards from Delicious Dial a Cake. 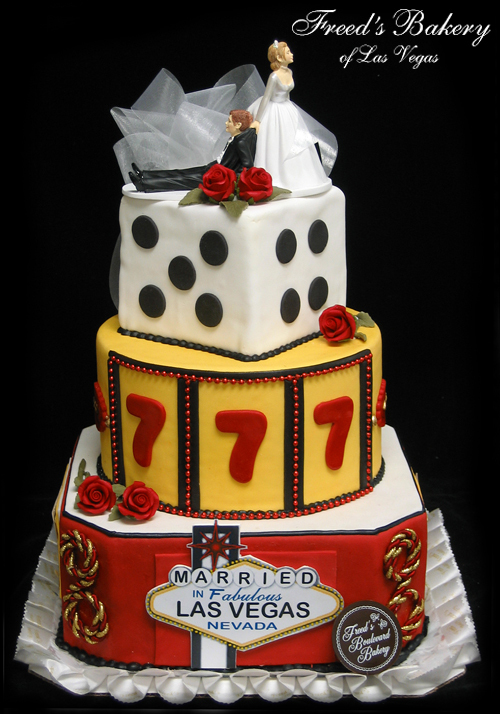 The next 5 awesome Las Vegas wedding cakes come from Marie's Gourmet Bakery. 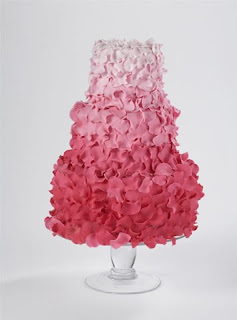 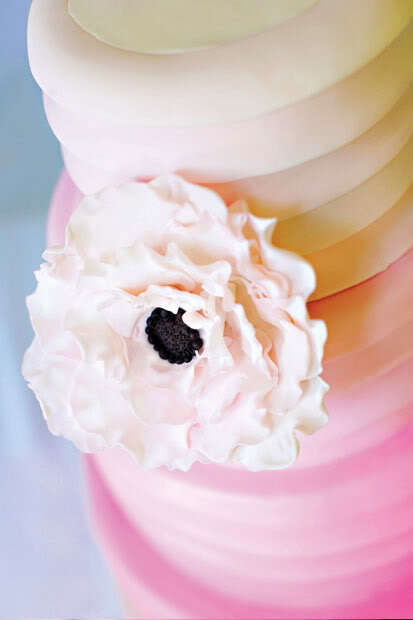 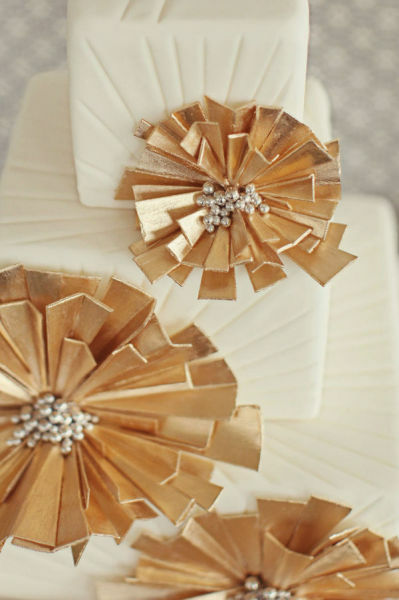 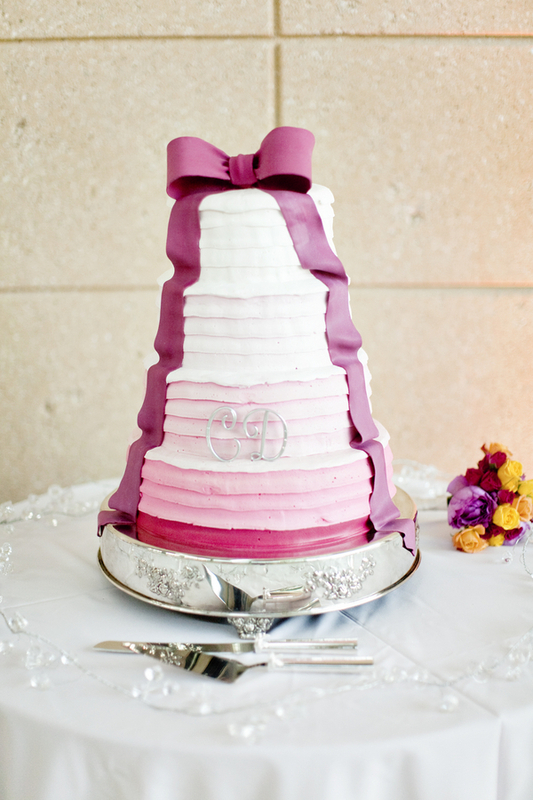 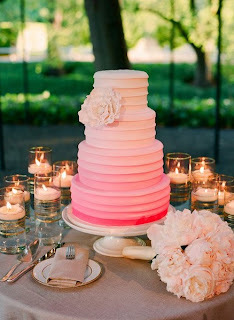 Ombre is in, as are ruffle cakes, check out this gorgeous wedding cake! 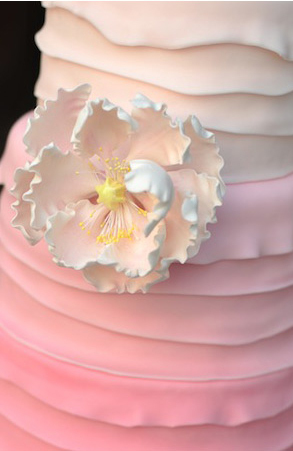 How do you feel about ombre cakes? 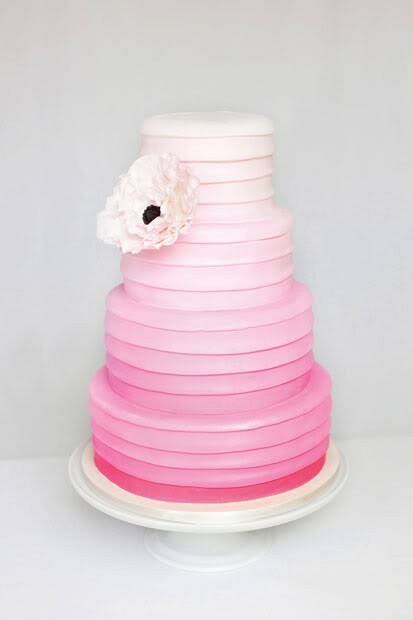 Cake created by www.enticingicings.com via The Knotty Bride. 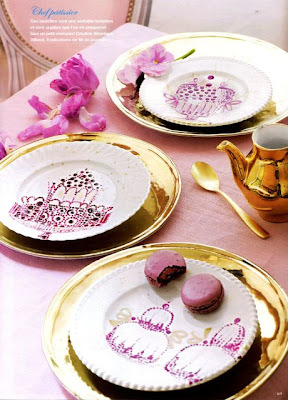 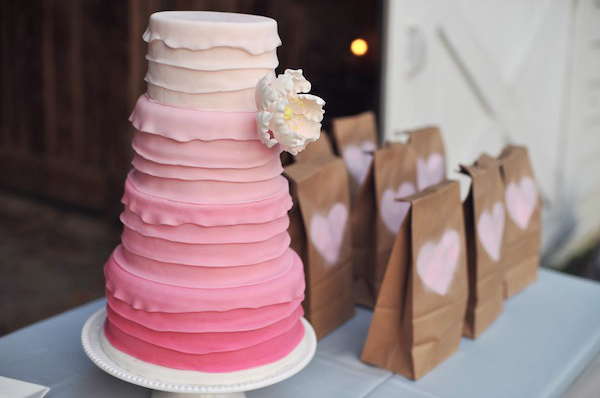 Here are a few more beautiful pink wedding cakes following the ombre trend. Images via Janae Shields Photography. 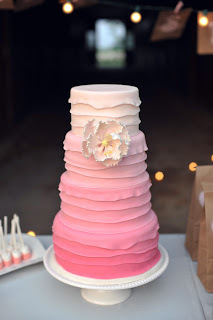 And another gorgeous pink gradient cake via Style Me Pretty. ANd now for some different takes on the pink ombre theme. 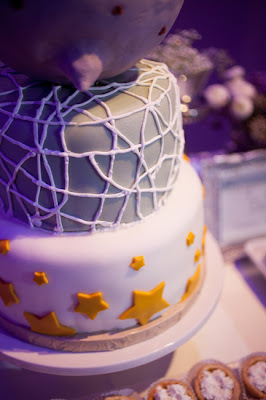 Firstly we have a square shaped version via Jay Seth Photography. 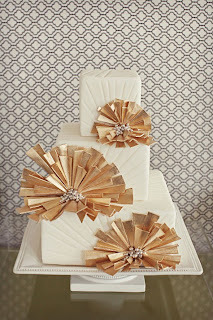 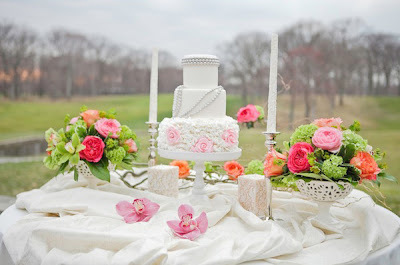 A heavily textured wedding cake from Lulu Scarsdale. 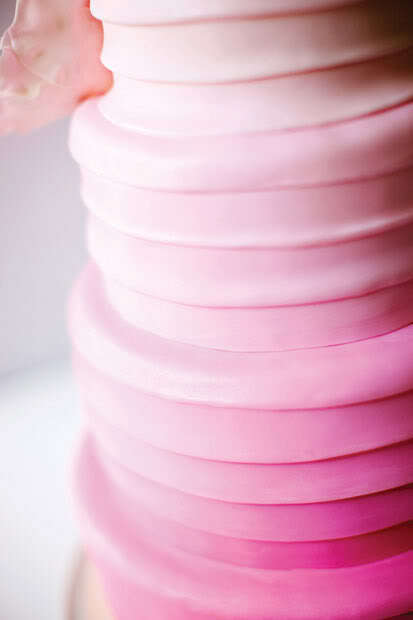 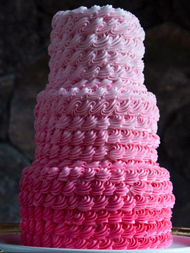 Swirl textured pink ombre wedding cake from The Artisan Bake Shop. 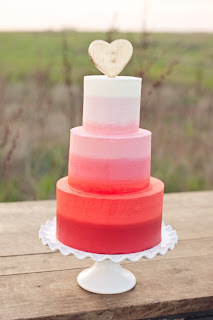 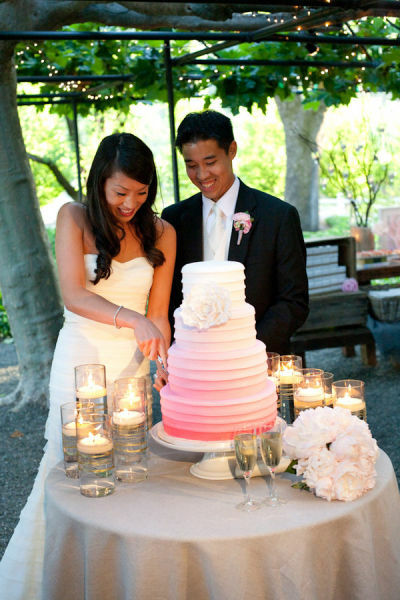 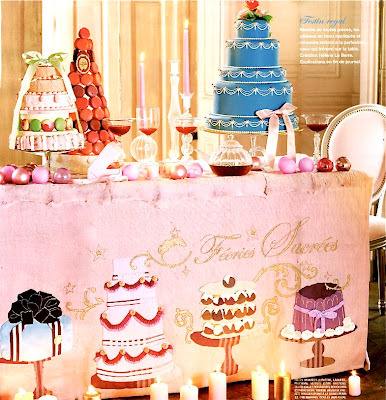 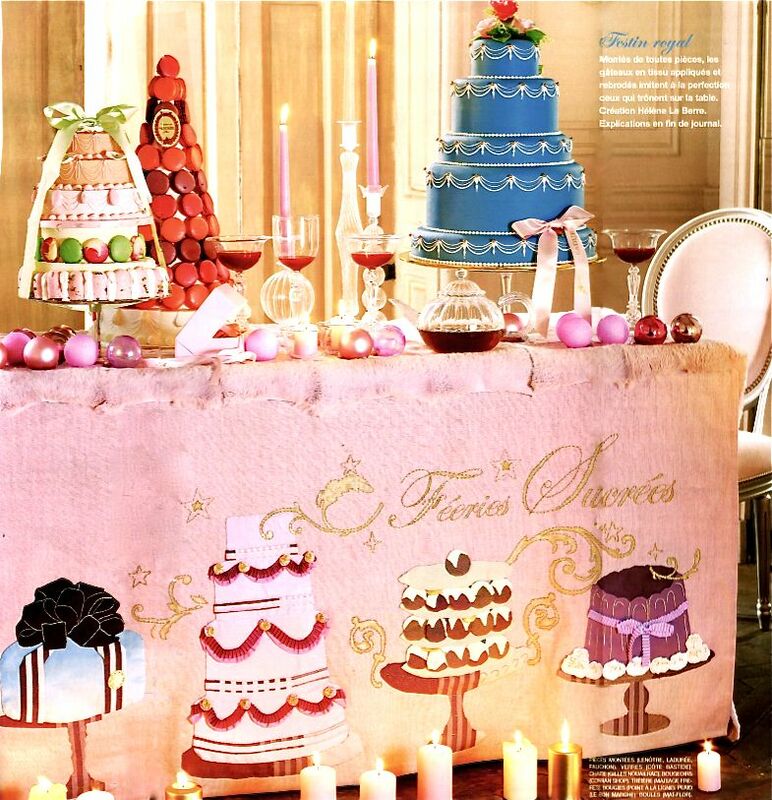 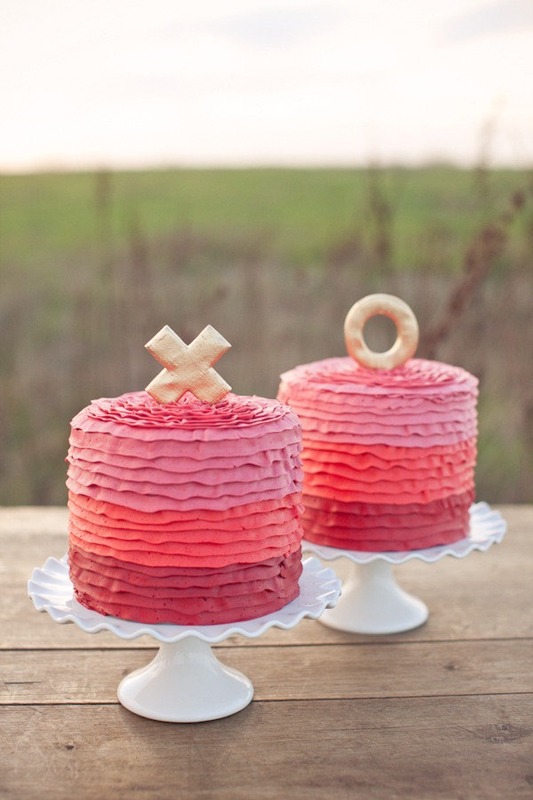 A pretty reddish pink ombre wedding cake featured in Style Me Pretty. 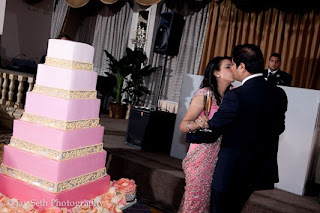 From a lovely colorful Florida wedding we have this amazing pink ombre cake with a pink ribbon featured in Real Southern Weddings. 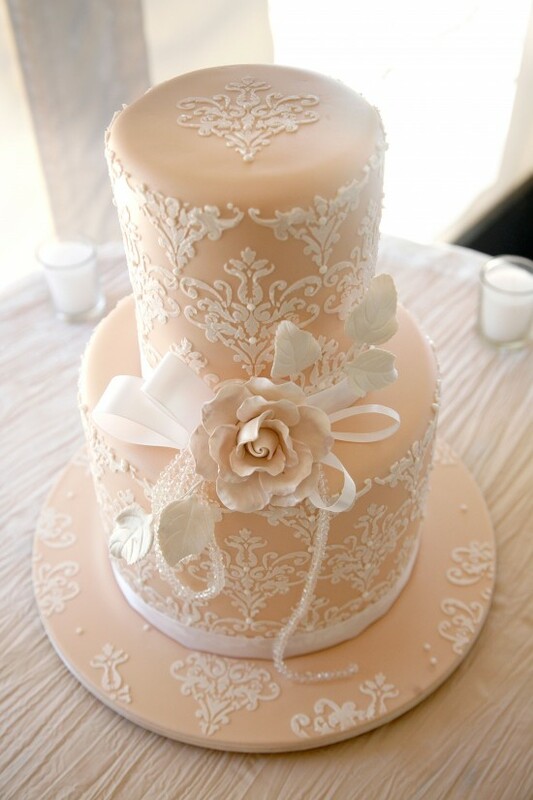 Stunning peach and white damask pattern wedding cake. 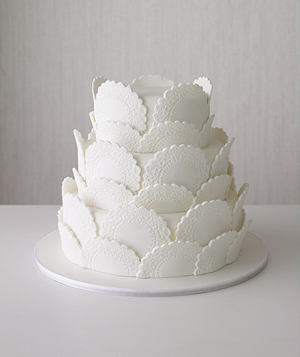 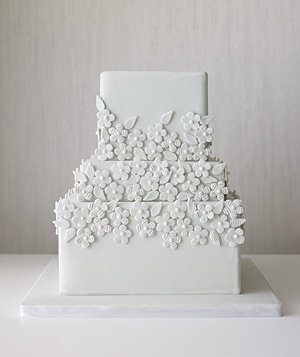 Here are two examples of simple monochromatic white wedding cakes, it's all about the textures with these cakes!